Vegas Time! Associates blackjack is played with four decks of cards (four deck shoe). Cards of rank 2 through 10 are scored according to their face value. All face cards are 10 points. Aces are semi-wild and can be worth either 1 or 11 points. The highest hand in blackjack is an ace and any 10-point card and is called a blackjack. A winning blackjack pays 3:2. If both player and dealer have a blackjack the bet is a push. Aside from a blackjack a winning hand pays even money. The player wins if his hand has more points than the dealer, without going over 21. Thus a 21-point hand is the highest and is why the game is sometimes called 21. If either the player or dealer go over 21 it is called a break or bust and automatically loses. If both the player and dealer bust the player loses. If the player and dealer tie the bet is a push. 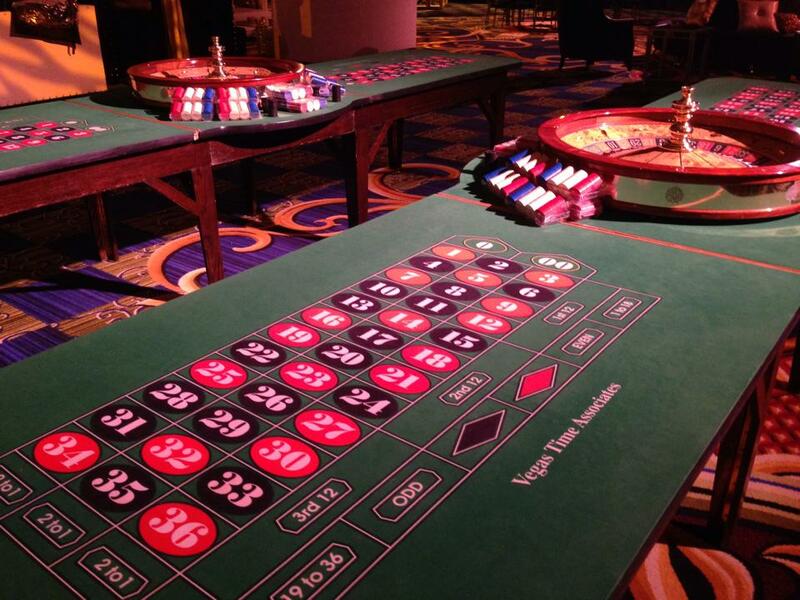 A round of blackjack begins with each player placing a bet in the square directly in front of him/her. Then the dealer will give each player and himself two cards. Player cards are dealt face up. One dealer card is dealt face up (the up card) and the other face down (the hole card). If the dealer has a ten or an ace as the up card it is possible he has a blackjack in which case all player hands will lose except with another blackjack. In the event the dealer has an ace as the up card he will allow the players to insure their hands against a blackjack. This is much like any insurance policy in which you are betting something bad will happen. The insurance bet in blackjack pays 2:1 if the dealer has a blackjack. If the dealer has an ace showing and a player has a blackjack the dealer may ask “even money?” This is because if the player has a blackjack the net result of both the blackjack and the insurance bet will be an even money win regardless of whether the dealer has a blackjack. After all players have had a chance to accept or decline insurance the dealer will check the hole card. 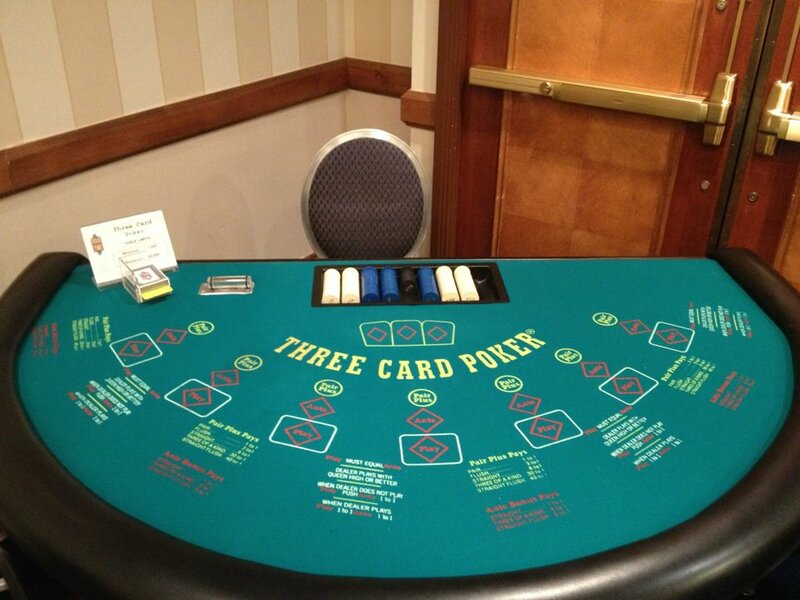 After it has been established that the dealer does not have a blackjack the player in turn may play their hands. The following options are available. Split: If the player’s first two cards are of equal point value he may split them into two hands. In this event each card is the first card of a new hand. The player must also make another wager of equal value to the first for the second hand. The player may usually resplit up to 2 or 3 times if another splitting opportunity arises. Doubling after splitting is always allowed. To signify you wish to split put the additional wager next to the original wager. Known as The ‘Wheel of Fortune’ this game is played on a large five foot diameter vertical wheel atop a stand with a flapper/indicator. There are inlaid dollar bills of various denominations ($1, $2, $5, $10, $20). The player bets on which denomination the indicator will stop on. The following table shows the betting options, payout odds, number on wheel. Play starts with each player making an ante bet in a designated square. Each player then receives five cards face down. Players may examine their own cards but may not share information with each other. The dealer also receives five cards, four face down and one face up. At this point each player has two options: raise or fold. If the player raises he puts twice his ante bet in the raise box. If the player folds he must relinquish his cards to the dealer, who will collect his ante bet. After all players have made their plays the dealer exposes his own cards. If he does not qualify with at least an ace and a king then all remaining ante bets pay even money and all raise bets push. If the dealer does qualify then each remaining player hand is individually compared against the dealer’s hand, and the best poker hand wins in each case. If the dealer has the higher hand the player loses both ante and raise. In the unlikely event the two hands are equal in value then both ante and raise push. If the player has the higher hand the ante pays even money and the raise pays according to the following pay table. Playing Let it Ride starts with each player making three bets of equal size (1,000 minimum per betting spot x3). Then the dealer gives every player three cards, and two community cards are placed face down in front of the dealer. After seeing their first three cards each player has the choice to take one of their three bets back (from betting spot #1) or to “let it ride” and leave all three bets stand. Then the dealer turns over one of the two community cards. Each player then has the option to pull out another bet (from betting spot #2) or “let it ride” (based on the ‘4’ cards they have in their hand). The player may leave their bet in or take it out the second time regardless of their first decision. Finally the second community card is flipped and the players are paid according to one of the following five pay tables. There are 3 betting circles in front of each player. The top circle is labeled PairPlus, where the player puts his or her wager on the pair plus game. Beneath that are two circles labeled Ante and Play for the base game. The game begins with the players making their bets, and then being dealt a three-card hand. This is a simple game in which you are dealt three cards and paid according to their value. The dealer’s hand is not involved. There is no raising or discarding. Below is the payoff table for PairPlus. Play begins with a wager on the ante. After you view your three cards you may either raise by putting an equal bet on play, or fold and lose the ante bet. If you fold you also lose the PairPlus bet if one was made. This should not be any sacrifice because if the PairPlus bet paid anything, you shouldn’t fold. If you raise, you then go against the dealer’s hand. The dealer needs at least a queen high to qualify. Below are the possible outcomes and their payoff. In addition, the Ante bet has an extra bonus that does not depend on the dealer’s hand. This bonus pays as follows based on the ante bet. Player may hit and double down after splitting aces. A five-card 21 pays 3:2, a six-card 21 pays 2:1, a seven or more card 21 pays 3:1. 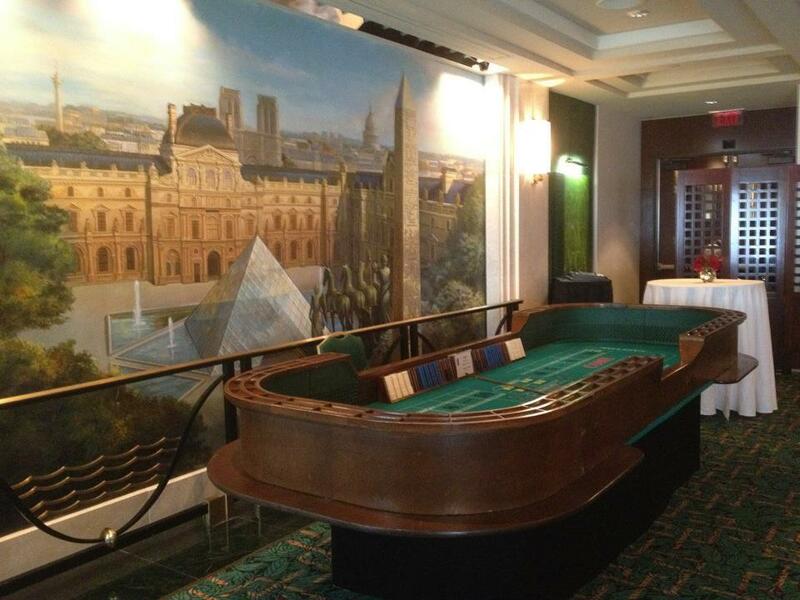 At first glance the game of craps looks a little intimidating because of all the various bets you can make but actually the game itself is very simple, so first let me explain the game with only a brief reference to the betting. 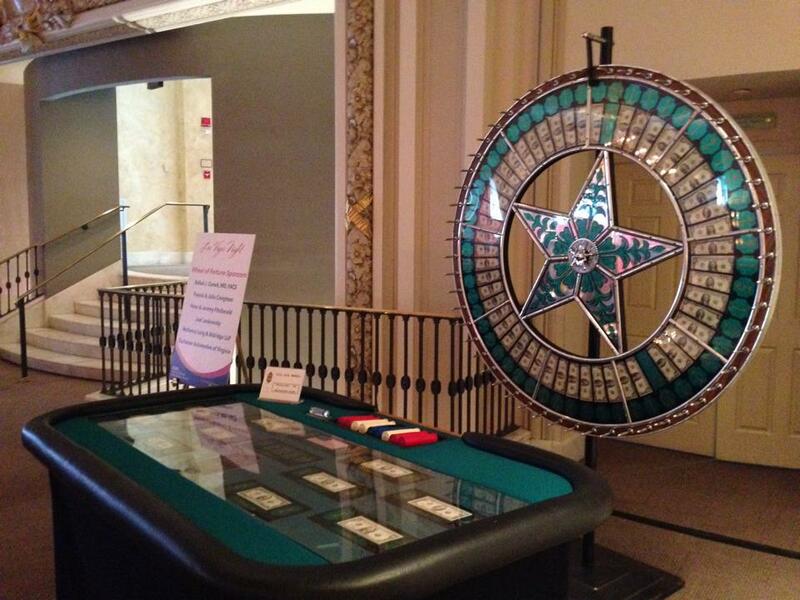 Everyone at the craps table gets a turn to roll the dice, but you don’t have to roll if you don’t want to. The dice are passed around the table clockwise and if it’s your turn to roll you simply take two dice and roll them to the opposite end of the table. This is your first roll of the dice, which is also called the “come-out” roll. If you roll a 7 or 11 that’s called a “natural” and you win (if you have a bet on the Pass Line), plus you get to roll again. If you roll a 2, 3 or 12, those are all called “craps” and you lose (if you have a bet on the Pass Line), but you still get to roll again. If you bet on the “Don’t Pass Line”, and a 7 or 11 is rolled on the come out (first roll), then you lose your bet. If you bet on the “Don’t Pass Line”, and a 2 or 3 is rolled on the come out (first roll), then you win your bet. If you bet on the “Don’t Pass Line”, and a 12 is rolled on the come out (first roll), then you don’t win or lose, this is considered a “push”. The only other possible numbers you can roll are 4, 5, 6, 8, 9 or 10 and if one of those numbers shows up, then that number becomes your “point” and the object of the game is to roll that number again before you roll a 7, assuming that you have a bet on the Pass Line. If you have a bet on the Don’t Pass Line, then you want a 7 to come up before the “point” is rolled again. If a 7 shows up before your “point” number does then you lose (if you have a bet on the Pass Line) and the dice move on to the next shooter. If your “point” number shows up before a 7 does, then you have made a “pass.” You then win your bet (if you have a bet on the Pass Line) and you get to roll again. That’s all there is to the game of craps. Cards are dealt from a 4 deck shoe. Play begins by all players betting either on the “player”, “banker”, or a tie. If the player’s total is 5 or less, then the player hits, otherwise the player stands. The score of the player and dealer are compared; the winner is the one that is greater. Winning bets on the banker pay even money, less a 5% commission, winning bets on the player pay 1 to 1, winning bets on a tie pay 8 to 1. In the event of a tie, banker and player bets will push.